Manufactured to European standard ISO 7380 in super high tensile 10.9 grade alloy steel with a zinc plated finish for corrosion protection. 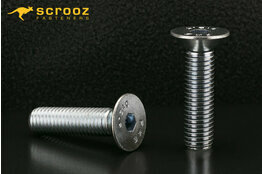 Suitable for high strength bolting into threaded components and assemblies in manufacturing and engineering. Use with corresponding hex nut as a visually pleasing high tensile bolted connection in construction for fastening steel to steel or timber to steel. Full range of hex and nylock nuts along with plain and lock washers also available if required. 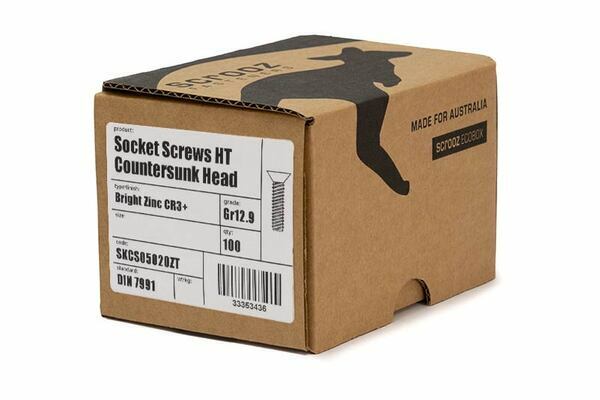 Socket countersunk head screw lengths are measured including the head.